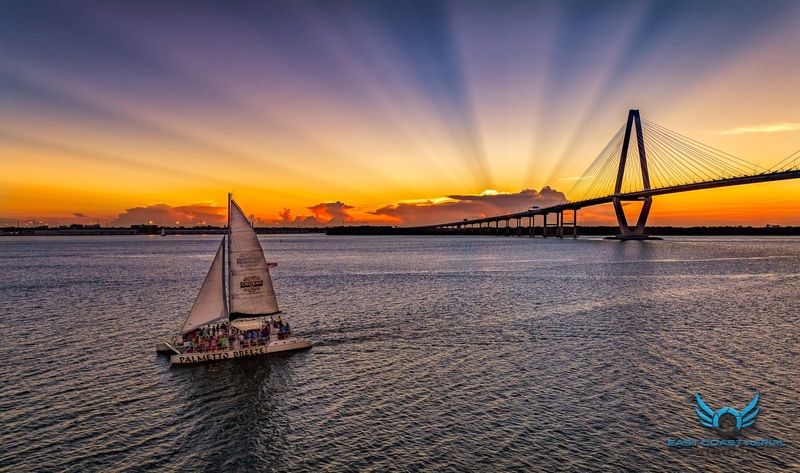 In addition to PALMETTO BREEZE, for groups of 20 or less, book a private charter aboard our sweetheart 50′ Columbia SloopSERENA! Charter rates begin at $395. 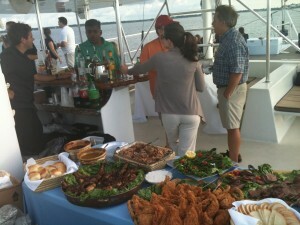 Comfortable sailing aboard PALMETTO BREEZE on the Charleston Harbor with room for 100 passengers plus crew. LARGEST CAPACITY CATAMARAN NORTH OF FT. LAUDERDALE! Palmetto Breeze combines both comfort and speed! 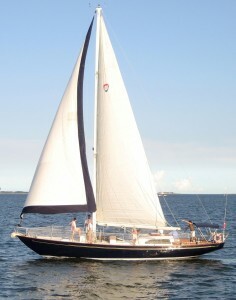 She was built in Charleston, SC, and is the ultimate sailing catamaran. This cat is a great vessel for birthdays, weddings, corporate outings, school eco tours, and most any celebratory event. Palmetto Breeze features a spacious wooden deck. There is covered seating by the “barefoot” bar. You will find 2 bathrooms below and speakers throughout. 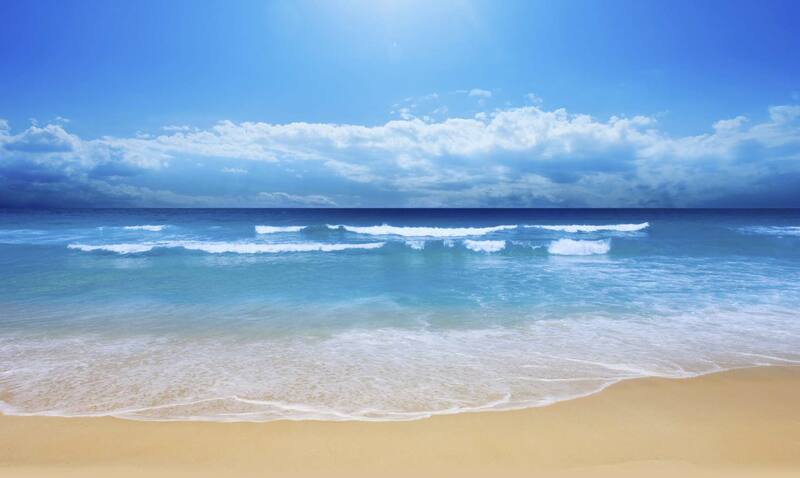 All charters, public and private, include Complimentary bottled water and soft drinks. Cash bar open for scheduled public sails. Public tickets are only good for the sail date & time purchased and may not be applied to other cruises. 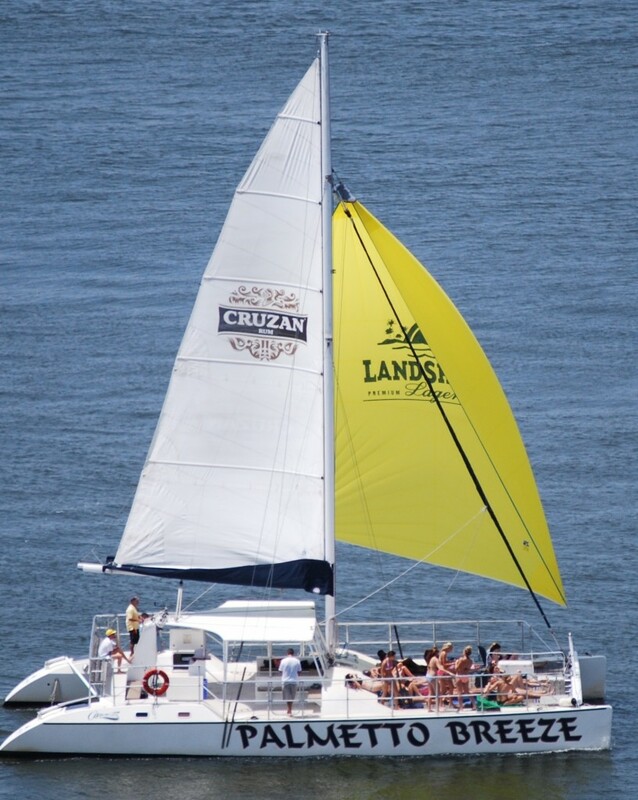 Some scheduled public sails include free adult beverages. OUTSIDE BEVERAGES PROHIBITED ON ALL SCHEDULED PUBLIC SAILS. Prices from $20 per person. Please check Ticketing for exact dates. Customary consideration is 15 to 20% of the total charter rate. Similar to dining gratuity. Bottled water and soft drinks always included. Private charters available 12 months a year. Private charters are only confirmed upon receipt of the signed charter contract and a 50 percent deposit. Balance is due the day of your charter. Be sure to follow PALMETTO BREEZE on Facebook and Twitter! 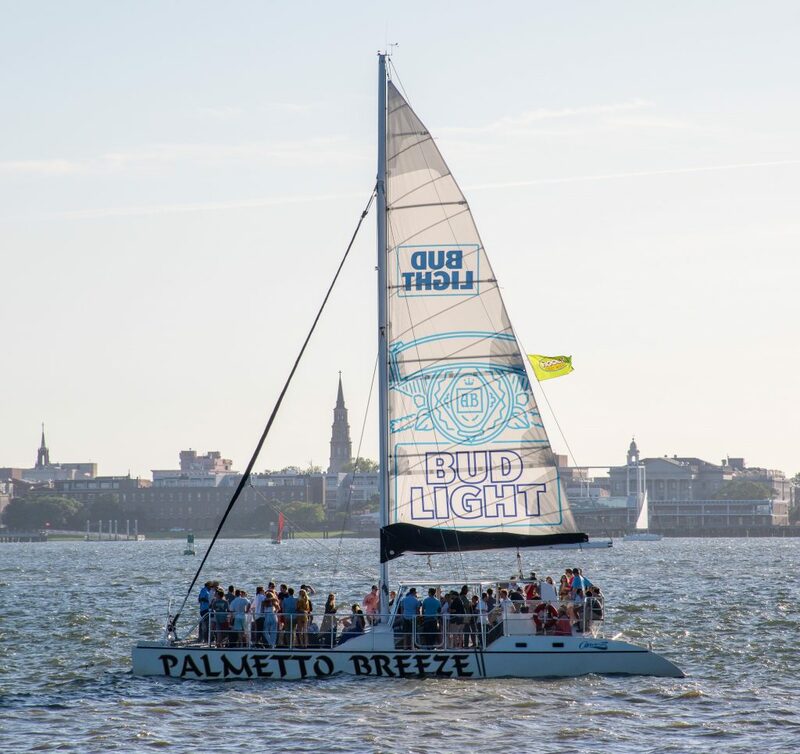 We encourage our sailors to tag us in your pics and share your PALMETTO BREEZE adventure with all of your friends and family!